Have a pair of Classic Yellow Boots that have gotten a little dirty? No fear. Get to scrubbing with either our Renewbuck™ Suede and Nubuck Cleaner or the Dry Cleaning Kit. After cleaning, don’t forget to protect with the Balm Proofer™ All Purpose Protector Spray. And you can use any of these products on your suede, nubuck, and canvas styles such as the Men’s Groveton Chukka Shoes, the Women’s Londyn Slip-On Shoes, or the Men’s Radford 6-Inch Waterproof Boots. We’re always getting questions about product care, and we can’t say we’re surprised – when you love a product, you want to take proper care of it. 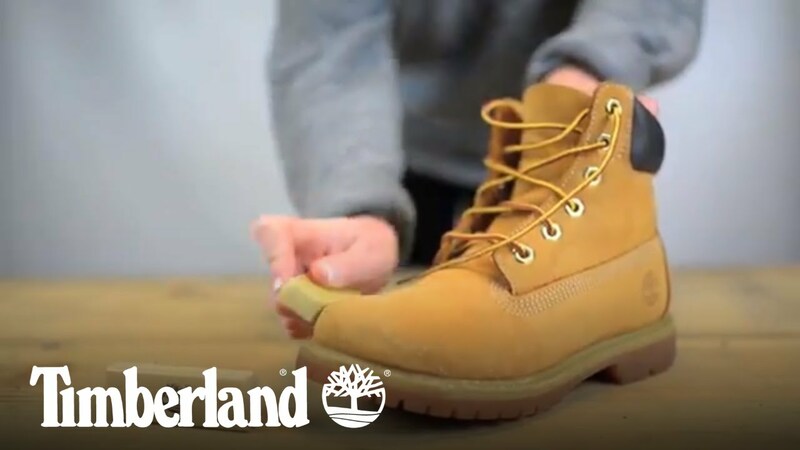 To help you out, we’ve put together this video to show how to keep your suede, nubuck, and canvas Timberland® products looking like new. Have some leather products that look like they’ve seen better days? Use our Waximum™ Waxed Leather Protector to bring them back to life! Waximum™ protector works on all types of leather products such as the Men’s Earthkeepers Original Leather Boots, the women’s Cascade Falls Crossbody Bag, and the Men’s Kinsman Mountain Leather Bomber Jacket. For extra protection, spray on the Balm Proofer™ All Purpose Protector Spray when you’re done. Timberland Tip: Waximum™ protector makes for a great leather furniture spot cleaner! We’re always getting questions about product care, and we can’t say we’re surprised – when you love a product, you want to take proper care of it. 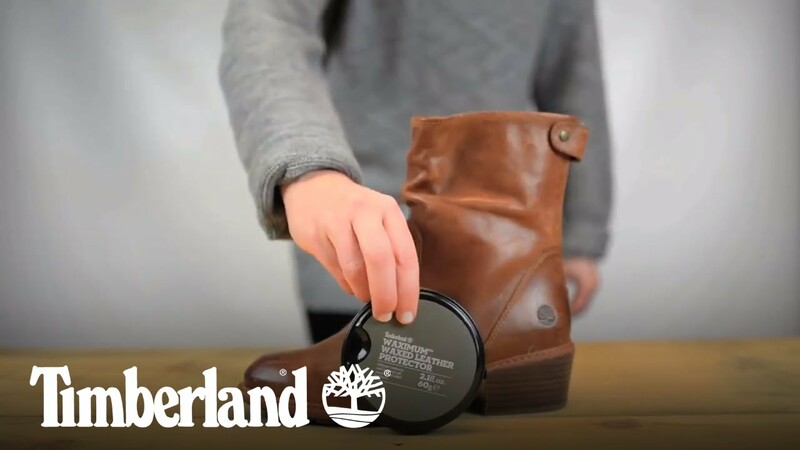 To help you out, we’ve put together this video to show how to keep your oiled, waxed, smooth and pebbled leather Timberland® products looking like new. We hope these tips have covered all your product care needs! Keep in mind that the more you wear and use your products, the more frequently you should clean and protect them. Our product care line is designed to keep your Timberland® gear looking great for years to come. Looking for more how-to’s? Check out this DIY article on how to build a planter. Fall’s coolest looks for women styled by some of our favorite people – our employees. Meet the Eagle Bay – the newest eco-friendly boot that delivers on form, function and style from Timberland.